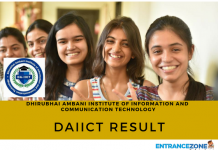 Gandhi Institute of Technology and Management (GITAM) conducts the GITAM Admission Test or GAT 2019. 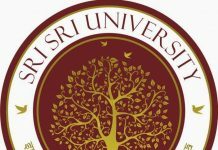 Registration or application form for GITAM University has been released on 12 November 2018 and the last date of registration is 09 April 2019. Aspirants can start the GITAM GAT 2019 Registration process from 12 November 2018. Candidates can apply via online portal as well as by obtaining the form at specifies centers. Candidates have to sit for an online entrance test. Also, the Online Slot Booking will start from 05 – 07 April 2019. Also, candidates need to send the filled in application form to the institute. 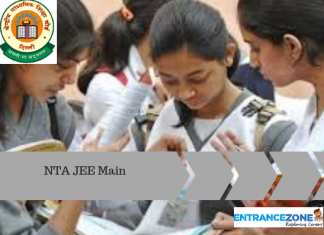 How to register for GITAM Admission Test (GAT 2019) Online? Firstly, the application form for GITAM GAT 2019 will be available online on the official website. The link will be provided on this page. Then, the candidates will have to enter their personal and academic information that will be mandatory in the application form. After filling the asked details, applicants will need to upload their recent photograph not older than 3 months. But, the allowed format of the photograph is .jpg format only. Also, the allowed size of the photograph will be 4 KB – 50 KB. Also, the dimensions of the photograph will be 4 cm X 4 cm. Finally, the applicants need to pay the application fee through online mode (Net Banking / Credit Card / Debit Card). The application fee can also be paid through Demand Draft to be drawn in favour of GITAM University payable at Vishakhapatnam. Also, the application form will be available offline by post from the Director – Admissions or from any of the specified branches in India of Union Bank of India, Indian Bank, and Karur Vysya Bank (payment of application form fee is mandatory). In the case of payment of application through Demand Draft, the candidates need to send the hard copy of the filled application form along with the DD to the following address. But it must be kept in mind that application number must be written on the opposite side of the Demand Draft. Then, it should be sent via Registered Post / Speed Post / Courier. Also, the registration of the candidate will be considered successful only if the registration form along with the Demand Draft will be received by Director – Admissions. Online Registration: Candidate must visit the gitam official website. And fill the application form required details of the applicant. The filled in application along with DD should reach Director-Admissions, GITAM University. Unless and until candidates send their hard copy of application form, their GITAM GAT 2019 Registration will remain incomplete. Offline Registration: Students can request the Application form by post. For this applicant need to send a request on plain paper. And mentioning the candidate’s name, with the complete mailing address. Including DD for Rs.150/- drawn in favour of GITAM University payable at Vishakapatnam, A.P. A valid/genuine email ID and phone no. The uploading is a major issue faced by students. Candidates must upload his photograph as per the specifications. The photo should be latest and not older than three months. The Image Format should be JPEG. The size of the image should not exceed more than 50 kb size and should not be less than 4 kb size. The next step is to make payment of the registration fees. The registration fee for the GITAM Admission Test is Rs.1,000/- for male candidates. and Rs.600/- for girls. 2) Debit card/credit card/ net banking. Candidates need to take the printout of the GITAM Entrance Exam 2019 application form. Also, candidates should take two copies of the printout of the GITAM application form 2019. The application will be valid only after a copy of the form along with the DD. And should reach before the given deadline. 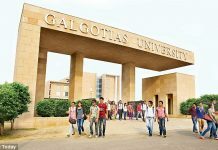 gitam entrance exam 2018 application form, gitam university application form 2019, gitam university entrance exam 2019, gitam university entrance exam 2018, gitam gat 2019 application form, gitam application form 2018 last date. Shilpa is a passionate writer. She likes to write about education updates. 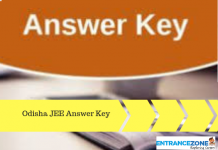 She is M.Tech from Banastahli University and CSE graduate from ABIT Cuttack. She had written around 1000 articles in past.